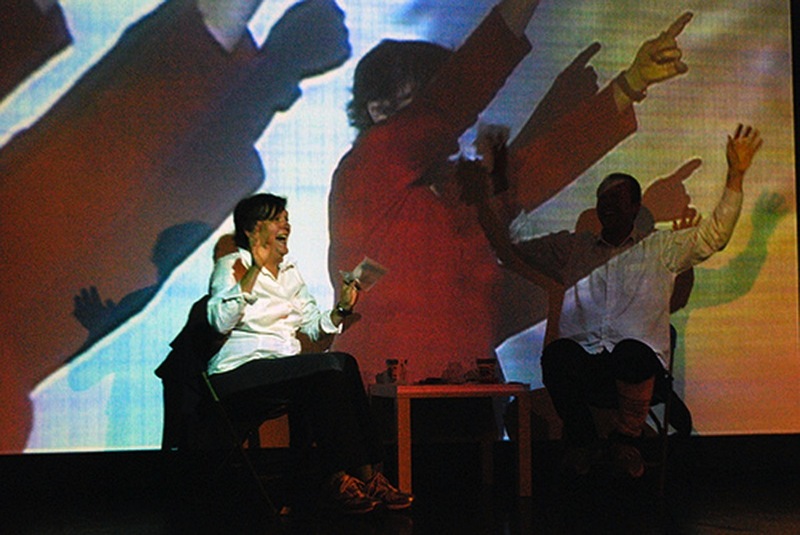 Verbs were performed and videotaped; projected and re-performed, re-videotaped; and so on in an essay of memory, forgetting and disintegration. Not unlike the creation of geographical strata (i.e. coal) by pressures of time, weight, history. 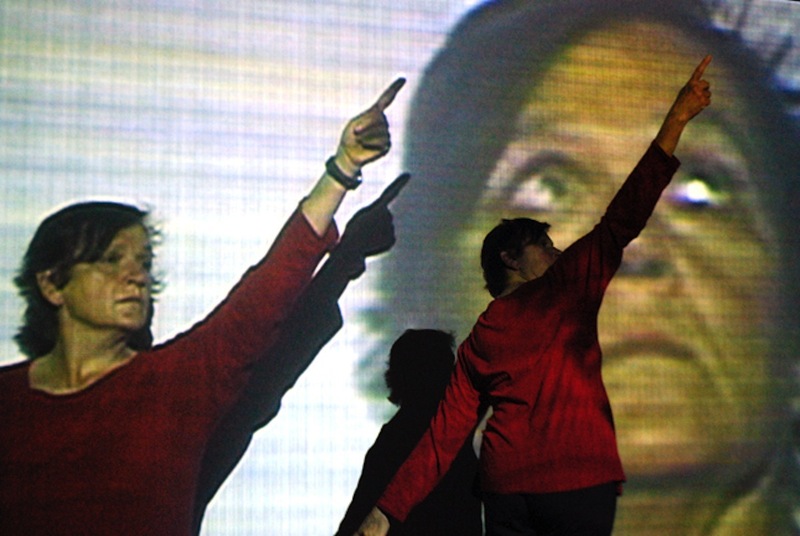 Video became the background for Paul Couillard’s and Dragu’s choreography-by-chance aktions and improvisational performance that was drawn from and dedicated to Dragu’s mother who died from Alzheimer’s-related causes.